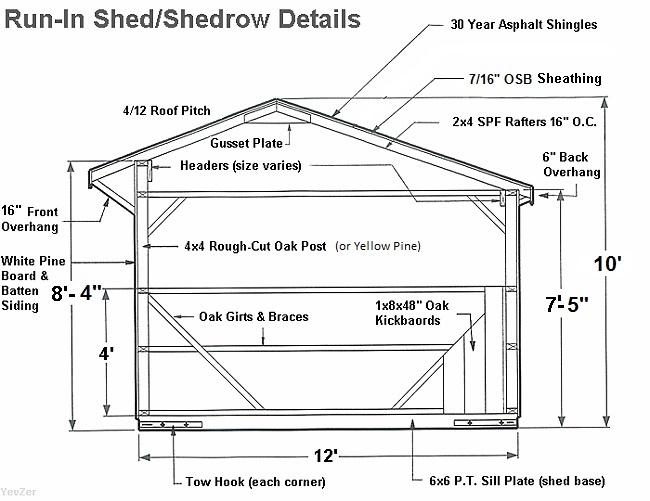 Construction Information of our Run In Sheds & Shedrow Barns. 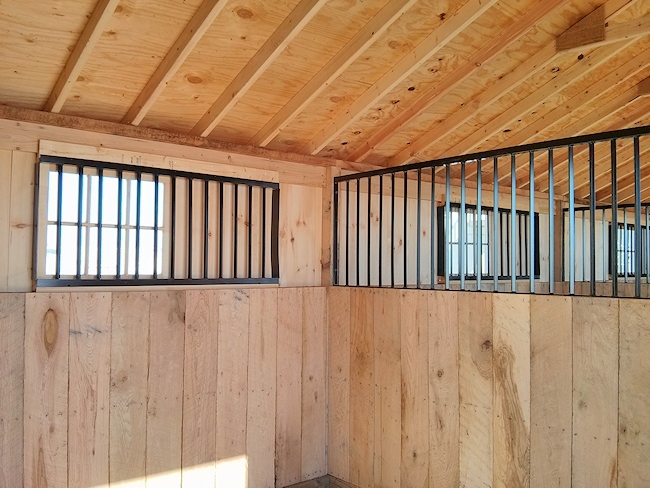 Our portable horse sheds are built with premium materials and rough-cut oak wall framing. All ground contact sill plates are 6x6 pressure treated. NOTE: To comply with some local building codes, we reserve the right to substitute Oak 4x4 posts with Yellow Pine 4x4 posts. Interior of a shedrow barn. Shown 6-lite window with window grill, partition with grill and oak kickboards. 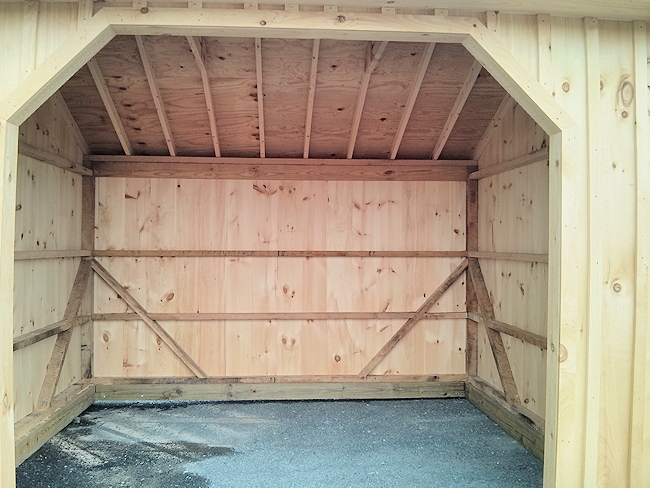 Standard roof is built with 2x4 SPF rafters 16" o.c., Shown with optional 1/2" plywood roof deck. As an option, you may also upgrade roof to 2x6 SPF rafters or metal roofing. Image of this run-in shed interior was taken before kickboards were installed to show framing and bracing of the walls. Base of all of our horse sheds is made of 6x6 pressure treated timbers. NOTE: Images are shown with 1/2" optional plywood roofing. Standard is 7/16" OSB.